When it comes to top honeymoon destinations, South Africa is a land of plenty. If you live abroad and Africa beckons to you, an exclusive safari may be your first choice for a honeymoon. South Africa has an impressive selection of safari honeymoon options, so why not combine a big five safari with stunning wilderness accommodation far from the crowds, along with top-class personal service from caring hosts. 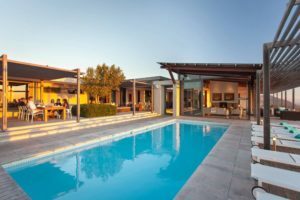 Another plus-factor for honeymooners from abroad, is that five-star safaris in South Africa can be enjoyed for a fraction of what an exclusive honeymoon would cost at home. 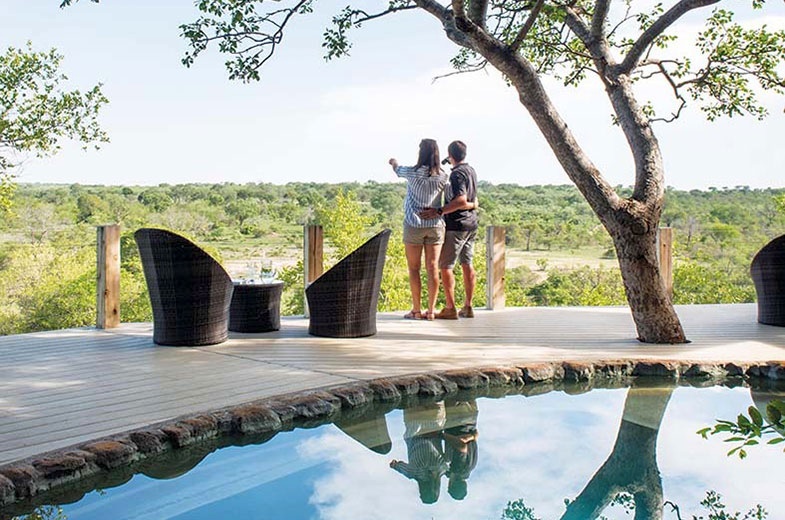 Londolozi Private Granite Suites: your own deck and private pool looking out on the wilderness. “A private river affair” is Londolozi’s apt description for its extraordinary Private Granite Suites – an intimate, top-class private camp for just six guests, making it perfect for honeymoon couples. Here, inside and outside merge seamlessly, keeping nature extraordinarily close at hand. Huge doors and windows open directly onto the Sand River. A private, heated swimming pool and riverside bathtub allow guests to maximise the outdoors. Mail us. At Singita Lebombo, you’re in one of the most exclusive places imaginable to have a premier private safari in Kruger National Park. The pool deck at Singita Lebombo is a tranquil space in which to relax in between safaris. 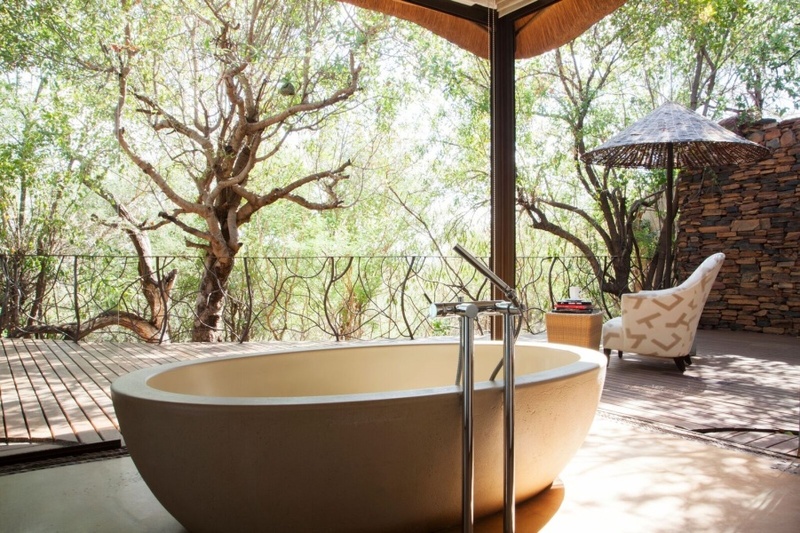 One of South Africa’s premier wilderness experiences, Singita Lebombo comes up trumps for romance. 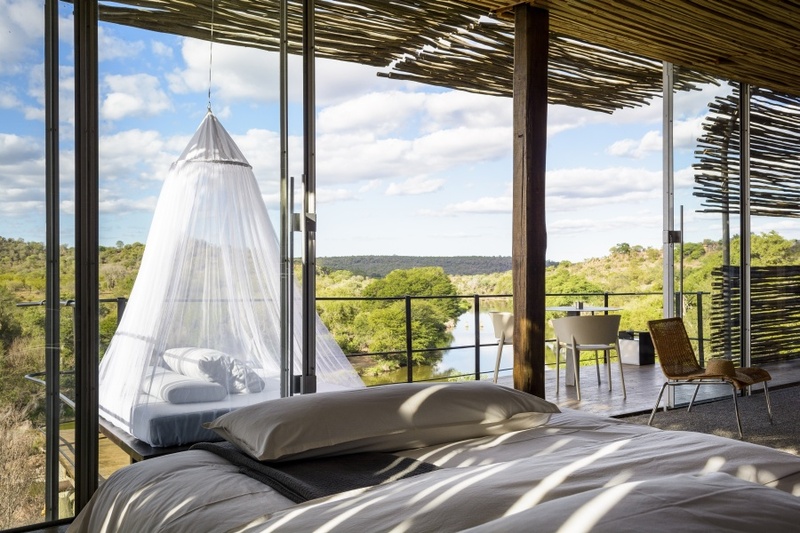 The lodge is perched on a clifftop above a river in an exclusive concession of South Africa’s Kruger National Park. Loft-style suites and one private villa are cocoons of exquisite luxury and offer guests the most incredible lookout over an immense wilderness alive with animals. 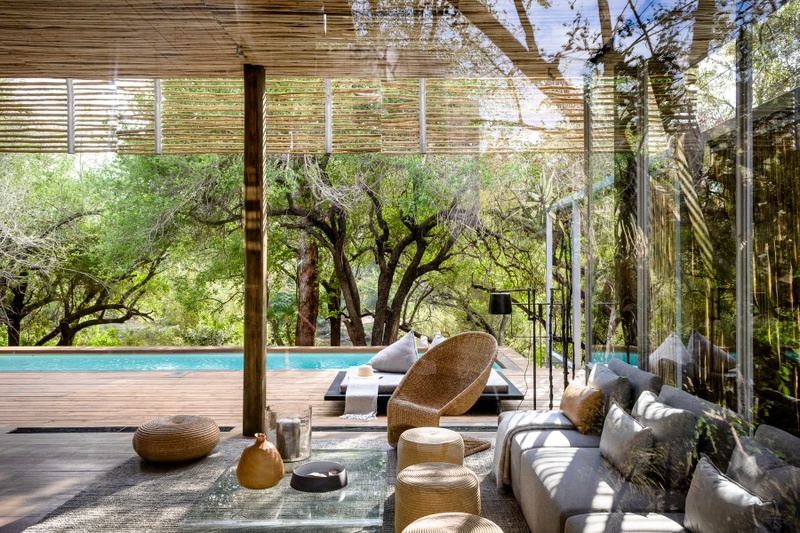 Singita Lebombo also has a a 25-metre lap pool, and a roof terrace and wine studio – a multi-level retreat with library, multi-media room, wine studio and rooftop viewing area. Mail us. 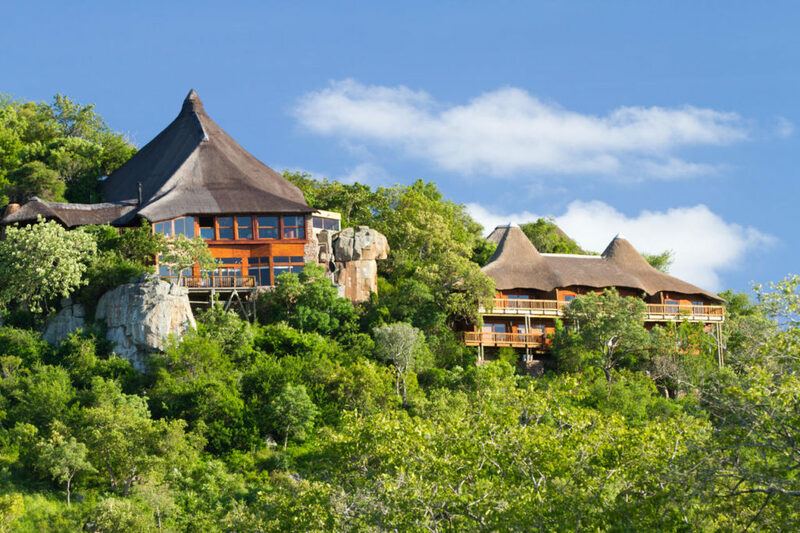 Ulusaba Rock Lodge is perched on the summit of a hill, providing panoramic wilderness views. 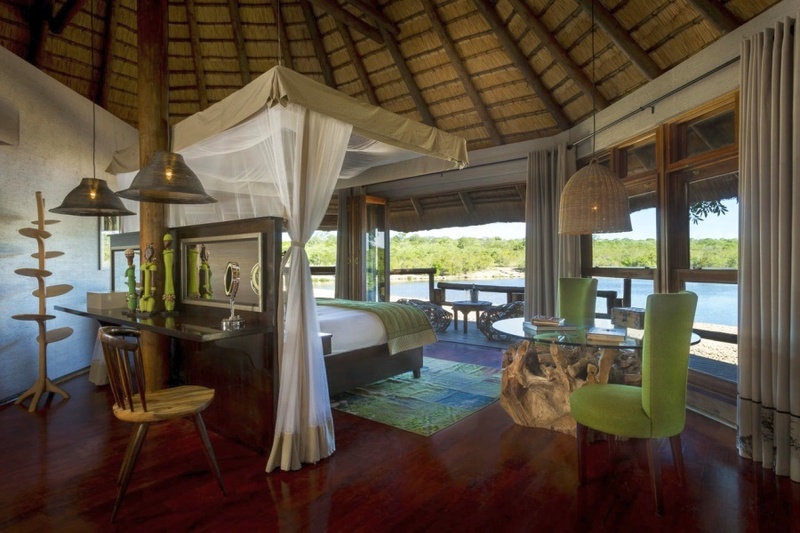 Ease into luxury in a gorgeous Ulusaba suite, such as this Safari Lodge Treehouse Suite. Ulusaba is yet another exceptional honeymoon option. You may even choose to have your marriage ceremony in the African Bush, at Ulusaba. Ulusaba has several superbly luxurious lodges, and in addition to its regular safari activities, offers honeymooners their own secluded champagne picnics in the wilds, and private romantic dinners under the stars at a Bush Observatory. 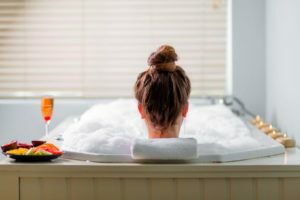 Romantic turndowns and spa treatments are also part of the experience. Mail us. 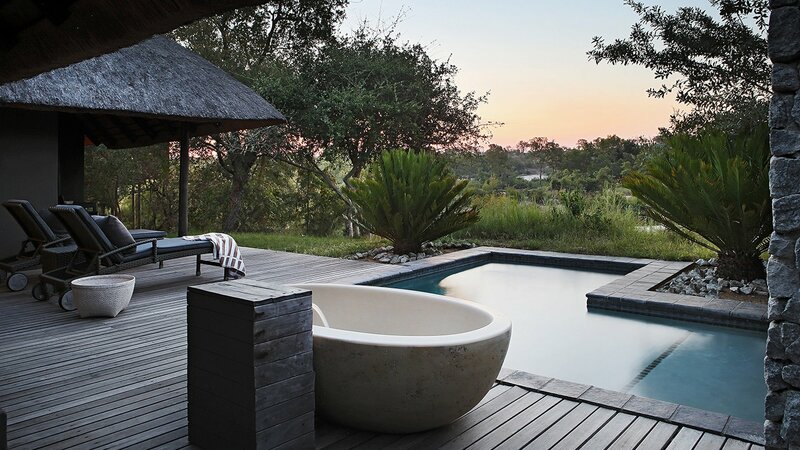 The suites at Leopard Hills are spaciously luxurious, and open out onto wonderful viewing decks. A romantic, private dinner for honeymooners at Leopard Hills. 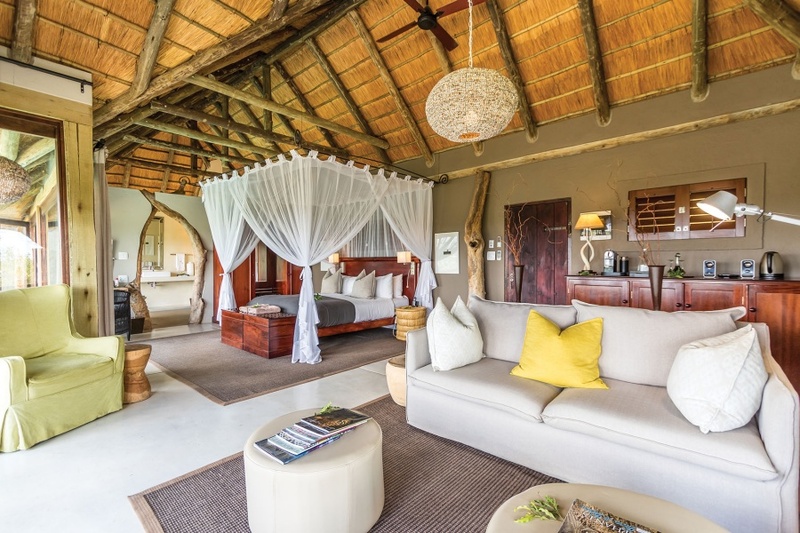 Leopard Hills Private Game Reserve offers a magnificent wildlife safari and gorgeous accommodation in large, glass-fronted suites which have secluded private decks and plunge pools. 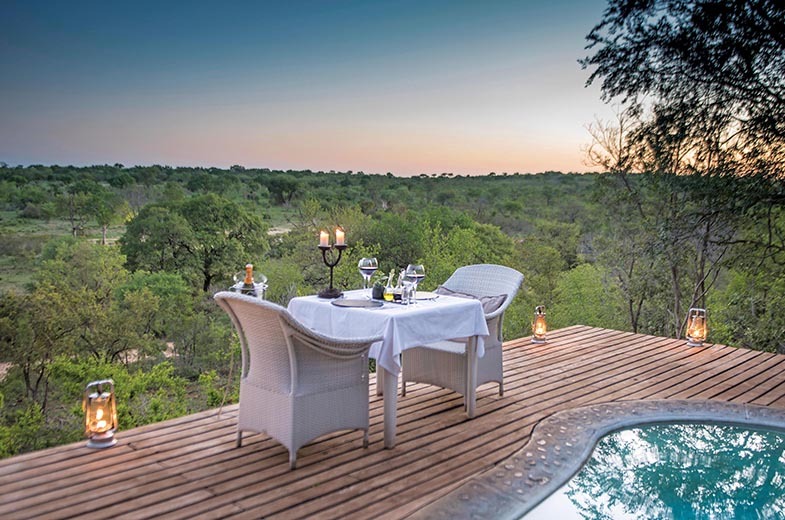 The main lodge is beautifully situated on a hilltop above a waterhole, with a tree-shaded pool deck and dining areas looking out over a vast Sabi Sand landscape bordering the Kruger National Park. The Leopard Hills experience includes twice daily guided game drives in 10 000 hectares of wilderness, ranger-accompanied game walks, and wellness treatments in a bush-view sala. Mail us. 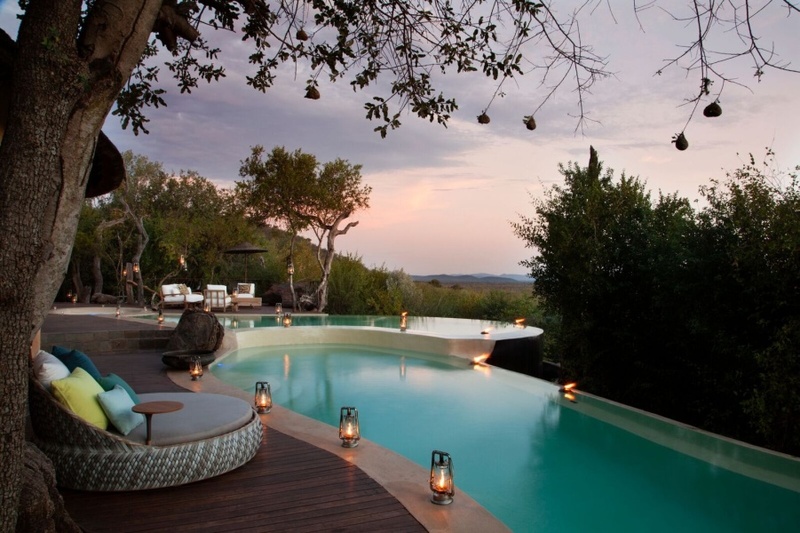 Molori Safari Main Lodge Pool Deck at Sunset. Molori Safari is an exclusive safari destination in the Madikwe Game Reserve. There are just five suites, that invite lavish living in the wilderness. Floor-to-ceiling retractable glass walls, private splash pools, fireplaces, freestanding baths and indoor / outdoor showers create super-comfy safari homes. Molori guests enjoy daily guided safaris and a range of wellness and fitness experiences. Molori’s several viewing decks and pools provide exquisite private spaces for romantic moments. Mail us. Mail us to book a honeymoon or holiday in South Africa, or call +27 21 797-7122.